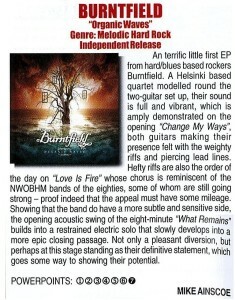 Comments Off on Organic Waves reviewed in UK’s Powerplay Magazine! 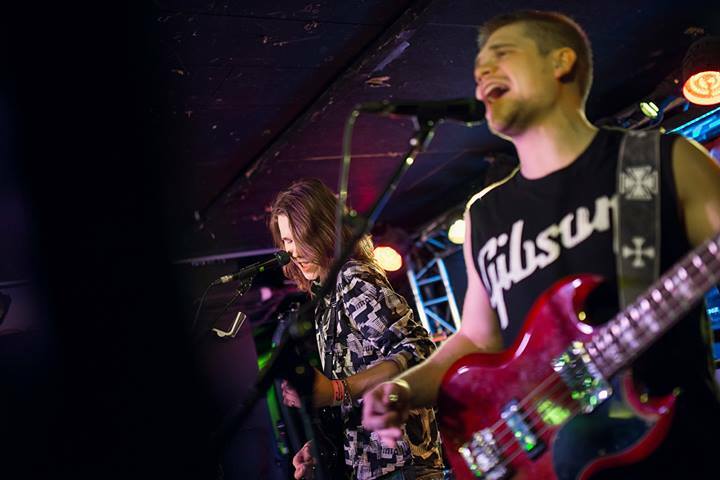 Comments Off on Emergenza – To Semifinals @ Nosturi 11/04!! 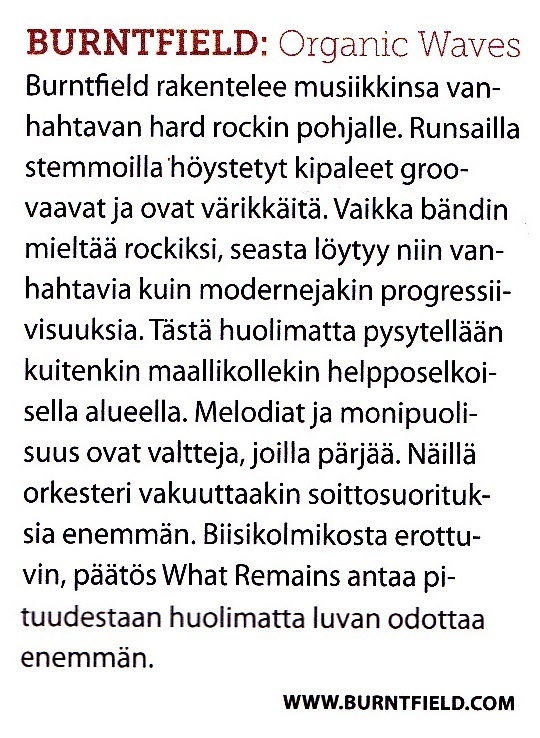 Organic Waves review in Kaaoszine! Comments Off on Organic Waves review in Kaaoszine! 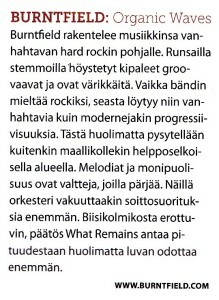 Nämä rokkikukot esittelevät ”Organic Waves” -EP:n mitä positiivisimmalla energialla tuoden toivoa stadionrockin uudelle valtakaudelle, kun kaiken maailman Cheeckit ja Robinit valtaavat Olympiastadionit. A teaser for the Emergenza Festival show! Happening in one week from now, next Saturday 15/03 at Bar Loose, Helsinki. 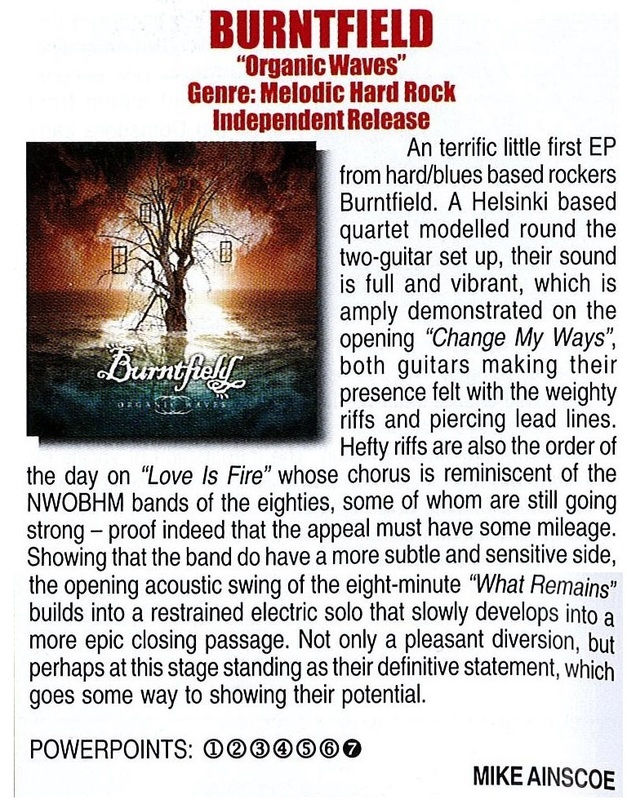 Comments Off on Another Organic Waves review in Inferno!